Royalty-free stock illustration of a hippy man sitting down on the ground barefoot and doing the peace sign gesture with his hand, smiling and looking calm and happy. Royalty-free stock illustration of a flower child with big blue eyes sitting on the ground and playing “he loves me, he loves me not” with an oxeye daisy, smiling and looking happy. 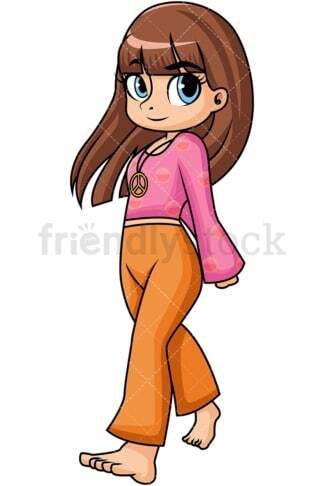 Royalty-free stock illustration of an adorable hippy girl with big blue eyes walking barefoot while wearing a peace sign pendant around her neck, smiling, looking calm and happy. 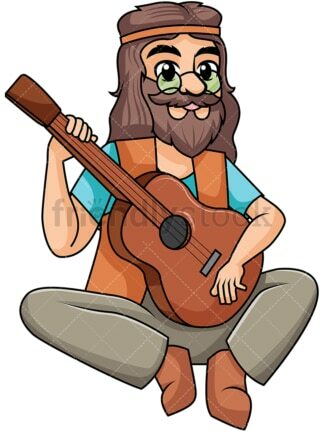 Royalty-free stock illustration of a hippie man sitting on the ground and playing the guitar while chilling out, looking calm and peaceful. Royalty-free stock illustration of a hippie man sitting on the ground barefoot, wearing a peace sign necklace, looking calm, relaxed, and happy. 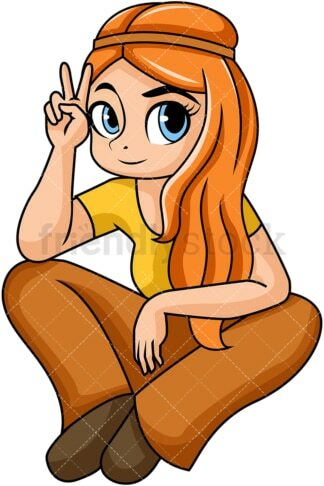 Royalty-free stock illustration of a hippie girl with big blue eyes and ginger hair, sitting on the ground and doing the peace sign with her hand, smiling, looking relaxed and happy. 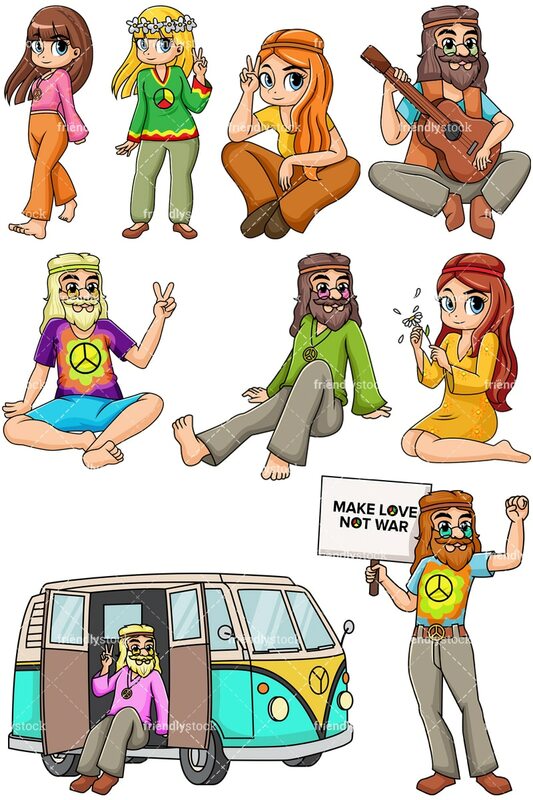 Royalty-free stock illustration of a hippie man protesting with his first raised up in the air while holding a MAKE LOVE NOT WAR peace sign. Royalty-free stock illustration of a hippie girl with blonde hair and big blue eyes, wearing a flower halo and doing the peace sign with her hand, looking calm and happy. 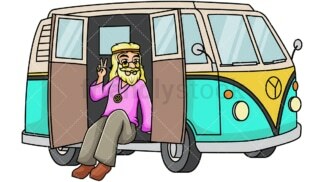 Royalty-free stock illustration of a hippie doing the peace sign while seated inside an iconic 1960s van with open doors.